This year marks both the 20th anniversary of the open source movement, as well as the 5th year of Hacktoberfest, our annual month-long celebration of open source, which kicked off October 1. Therefore, for the latest installment of Currents, our seasonal research series on developer trends in the cloud, we surveyed more than 4,300 developers from around the world about the state of open source today. We asked respondents what inspires them to contribute to the open source community, as well as how they and their companies use open source technologies. Twenty years since the open source movement began, just over half of developers surveyed are contributing to open source projects (55 percent). However, that’s less than what companies expect from their employees: three out of four respondents said their companies expect them to use open source software as part of their day-to-day development work. Two of the most prominent barriers to developers’ involvement in open source are (a) not knowing where to begin and (b) doubting they have the right skills. Companies also tend not to create dedicated time for their employees to contribute, which is also a significant factor. Of the five major tech companies — Microsoft, Google, Amazon, Facebook and Apple — developers overwhelmingly identified Google as the most supportive of the open source community, followed by Microsoft. Apple ranked last. There’s a disconnect between companies’ encouragement of open source within their organizations, and their actual investment. Only 18 percent of respondents said their company is a member of an open source-related organization, and 75 percent said their company invests $1k or less every year. While 55 percent of our respondents said they actively contribute to open source projects, developers with five or fewer years of experience were significantly more likely to contribute (60 percent) than developers with six or more years of experience. This participation boost from newer developers aligns with the overall perception that the open source community is healthy and growing (89 percent). Developers in India are more likely to contribute to open source than developers from other parts of the globe, with more than two thirds (68 percent) of Indian respondents actively participating in open source projects. Forty-five percent of developers listed “difficulty knowing how to get started” as the primary barrier preventing them from contributing to open source projects. Other key challenges included developers feeling they don’t have the right skills to contribute (44 percent) and companies not offering time for employees to contribute (30 percent). For developers in the UK, intimidation surrounding joining the community is another major hurdle, with 40 percent citing it as a reason they haven’t contributed to open source more, compared with 28 percent overall. These data points serve as a reminder of the importance of fostering communities that are inclusive and approachable. Everyone is a beginner at some point in their career! Of the five major tech companies, developers believe Google is by far the leader in embracing open source (53 percent), followed by Microsoft (23 percent). Apple came in last, with just one percent. Newer coders (0-5 years experience) are more likely to believe Microsoft has embraced open source than veteran developers. This is likely a result of the company’s growing push into the open source space after years of resistance to the movement. Notably, developers in the UK have a less favorable view of Google’s open source efforts at 44 percent compared to 53 percent overall. Nearly three out of every four respondents said their companies expect them to use open source software as part of their day-to-day development work, but only 18 percent of employees said their companies actively participated in open source organizations (e.g. Apache Foundation, Node.js Foundation, Cloud Native Computing Foundation). The cost of participating in these organizations is the biggest barrier (38 percent), and 75 percent of respondents said their companies also donated just $1k or less to these organizations in the last year. More than a third (37 percent) of respondents said they would contribute more to open source if their companies gave them the time to do so. This is even more prevalent for Canadian developers, with nearly half (48 percent) of respondents saying they would contribute more to open source if their companies gave them more time to do so. Just 19 percent of Canadian respondents said their companies currently give them time to work on open source compared to 34 percent overall. These findings reinforce our belief in the importance of supporting the next generation of coders. We started Hacktoberfest for this very reason to encourage more participation in the open source community, and open the door for both veteran and new coders to make an impact. Companies that have participated in Hacktoberfest have seen huge gains in open-source contributions to their repositories, which improve their products and services. You can find more information about Hacktoberfest here. We’re proud of the role we’ve played in the global open source community and are excited to do more. We remain mindful of the potential of open source software and the power of community as we plan for the future — a future we think is pretty darn bright! DigitalOcean Currents highlights the latest trends among developers in the cloud. 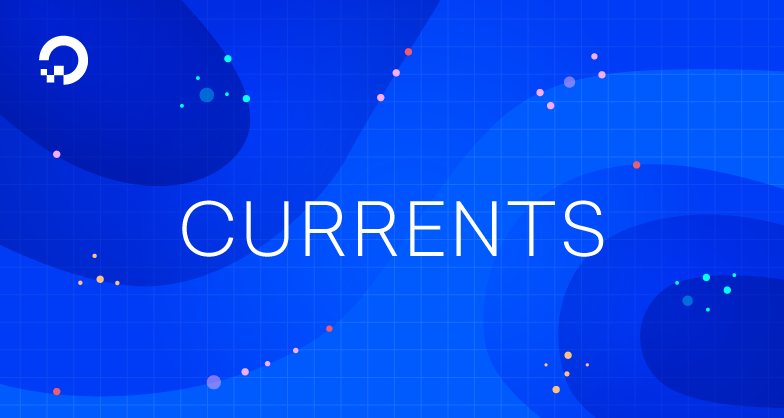 If you would like to be among the first to receive Currents each quarter, sign up here. You’ll also be able to share ideas on what topics we should cover and participate in our next survey. Read more about these and other findings in the full Currents report here.